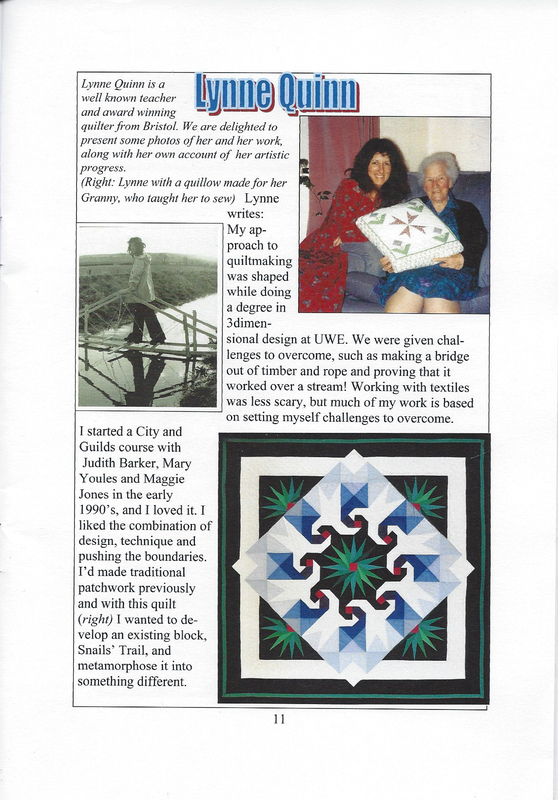 This tutor profile was written by my good friend Jean Grimshaw for ‘Five Patch’ – the regional magazine of The Quilters’ Guild of the British Isles (so I’ve borrowed it with her permission)! 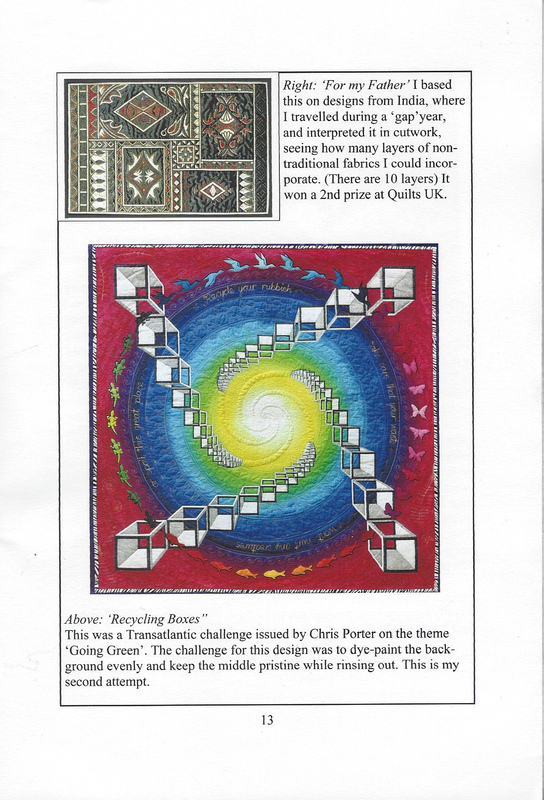 The Quilter’s Guild is a wonderful charitable organisation, safeguarding and promoting the nation’s heritage – you can find out more about it through their website (see ‘Links’ in the menu above). 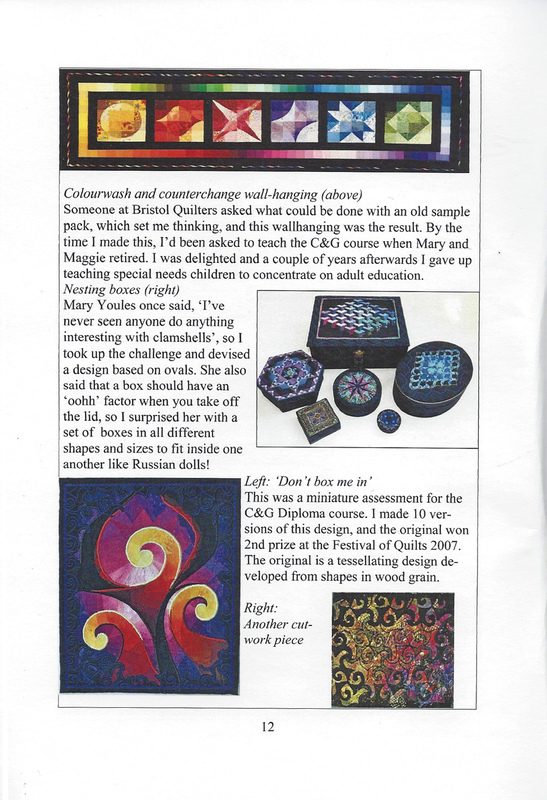 Jean and I are members of Bristol Quilters (see link above), a dynamic group which I joined nearly 30 years ago. 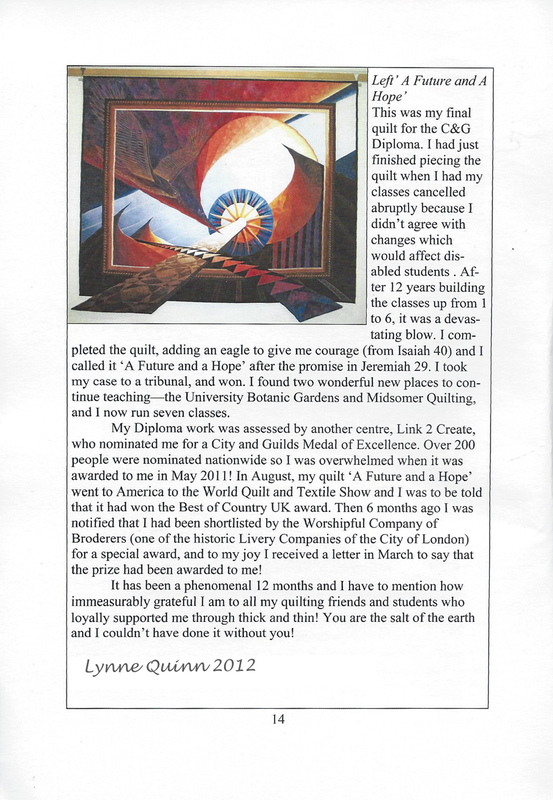 I owe a great deal to the early members especially Pat Scaulding and Di Gunn (sadly no longer with us), for encouraging me and steering me onto a career path I absolutely love!